We will be glad to accommodate your business meeting or host your event. 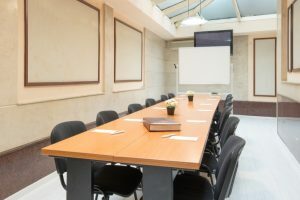 Our two conference rooms with capacity 60 and 25 seats are powered by high speed Wi-Fi Internet and equipped with modern devices, to support excellent conditions for seminars, meetings, training sessions and events. A dedicated event coordinator, familiar with all details will be at your disposal throughout the event to help you with everything you need. We recommend pre and post event meetings for better coordination and clear communication between our employees and your team. The conference rooms are comfortable and compact with direct access to lobby bar and restaurant. Our team of professionals is available to provide options, to answer your requirements and meet your expectations ensuring the success of your event. Downtown is a comfortable and compact conference room for up to 25 seats. It has modern equipment and is with easy access to the lobby bar and the restaurant. We can arrange everything for your corporate event. Be it equipment, event assistants, catering etc.